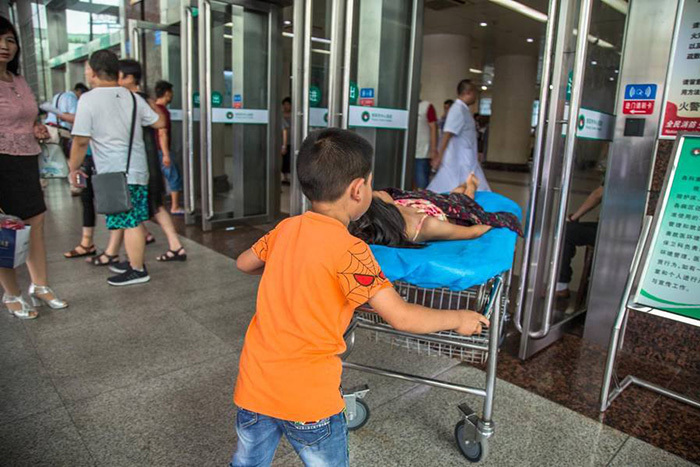 Photos of a young boy in China comforting his older sister at the hospital are touching the hearts of millions. 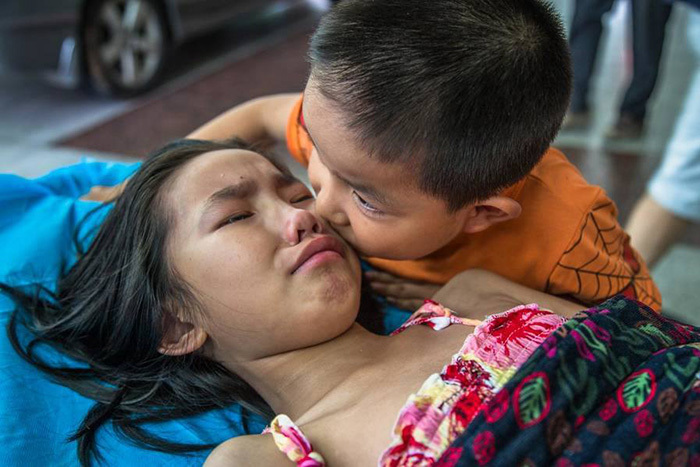 The pictures were uploaded by the Facebook page China Daily. 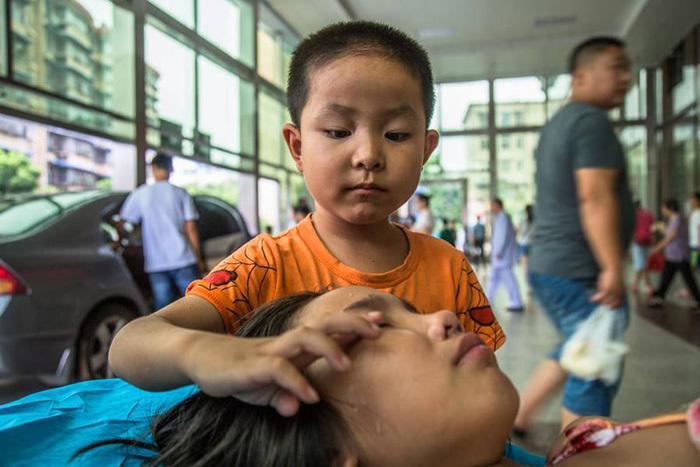 “Dear sister, don’t cry, I will always be there for you,” 7-year-old Zhao Wenan said to his sister who is suffering from a lacerated kidney. 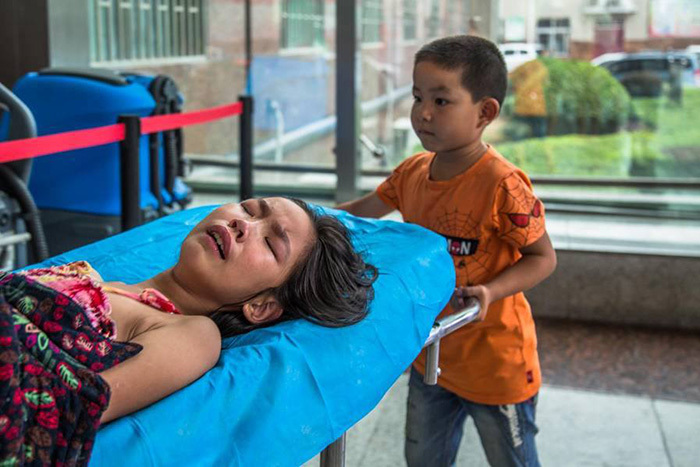 According to Medicine Net, a lacerated kidney needs around six weeks to heal. If the laceration is minor, then it may heal faster. However, if the laceration is deep, the patient needs to undergo surgery.